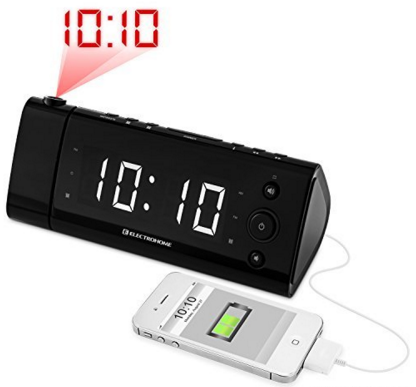 Electrohome® USB Charging Alarm Clock Radio With Time Projection Just $27.96! FREE Shipping! You are here: Home / Great Deals / Amazon Deals / Electrohome® USB Charging Alarm Clock Radio With Time Projection Just $27.96! FREE Shipping! Stop being late and get Electrohome® USB Charging Alarm Clock Radio With Time Projection for just $27.96 down from $49.99 on Amazon! And FREE shipping! Get yours now before the price is gone! High-speed USB charging compatible with all smartphones, tablets, mobile phones & mp3 players.